There are hundreds of Las Vegas attractions, shows and activities all over the city. Here we highlight worthwhile things that you can see and do for FREE along the famous Las Vegas Strip. The Strip, officially known as Las Vegas Blvd. South, is approximately four miles long and there are about an equal number of big las vegas hotels on each side of the street. It is impossible to see everything in one or even two days, but if you were to startout at the south end and walk north, these are the major Las Vegas attractions along the way that you can see for free. If you have the time and inclination, also stop in at theresorts not mentioned here, you may discover Las Vegas attractions we overlooked. You’ve seen a hundred or more pictures of the famous Las Vegas Welcome Sign. If you wantto look at the real thing and maybe take your own photo, you’ll find this most copied iconof Las Vegas in the middle of a traffic median at the south end of the Strip. The Luxor Hotel & Casino is build like an Egyptian pyramid, 350 feet in height andcrowned with the world’s brightest beam of light. At night the 315,000-watt light beam is a free Las Vegas attraction that isvisible from over 200 miles away! The Excalibur Hotel and Casino is designed like a castle complete with moat. The Medieval Village has strolling entertainers; costumed performers also put on a small variety show, daily between 11:00 a.m. and 7:30 p.m.
A one-of-a-kind Lion Habitat dedicated to the majestic cats. Spend some time observinglions and cubs in their multilevel natural habitat. This is a state of the art showcasebehind 1 1/2 inches of glass. Hours 10 a.m. to 10 p.m. daily. A dazzling display, the Fountains in front of the Bellagio is a fantastic Las Vegasattraction. Although the fountains are on during the day, it’s better to see them afterdark, the performances are more frequent and some of the lighting effects cannot be seenin daylight. A 14,000 square foot atrium, covered by a 55 foot glass ceiling features winding pathwaysthrough this exceptionally beautiful botanical garden. The display changes with theseasons of the year. Located near the hotel lobby. The landscaping, light, water and sound displays in front of Bally’s provide adramatically brilliant night spectacle. Shows are every 20 minutes after dusk. Appropriately enough, the Flamingo Hotel and Casino is home to a flock of live pinkflamingos! The 15-acre wildlife habitat also features penguins, swans, ducks, turtles,fish and a variety of birds. Penguin feeding is daily at 3:00 pm. Admission is FREE. Pass the main entrance to Caesars Palace and you come to the Forum Shops. This is noordinary indoor shopping mall. Look up to the sky-like ceiling and watch it transform fromdawn to dusk within half an hour. The main free attractions are the animated statues atthe center pavilion where you Watch Bacchus chat with other gods and goddesses. Andoutside the IMAX theatre there is an animated statue tale depicting the Fall of Atlantis.Every hour on the hour from 10 am to 11 pm. Starting at dusk until midnight an artificial volcano erupts every 15 minutes in front ofthe Mirage Hotel & Casino. More than 50 feet tall, the lava flows into a pool of waterand fire, creating one of the most famous Las Vegas attractions on the Strip. The show begins with a 17th century clash between a group of beautiful, tempting sirensand a band of renegade pirates. With their mesmerizing and powerful song the Sirens lurethe pirates to their cove, stir up a tempest strong enough to sink a ship. Nightly at 5:30p.m., 7:00 p.m., 8:30 p.m., and 10:00 p.m. at the front entrance of Treasure Island. Appropriately, free Fashion Shows at the Fashion Show Mall are held on Fridays, Saturdaysand Sundays every hour on the hour. Schedules are subject to change due to other eventsand programs. Best to call (702) 369-0704 to confirm times. As you stroll through The Grand Canal Shoppes at the Venetian Resort you’ll experience”Streetmosphere”, an exquisite cast of Carnivale Characters and StreetPerformers. Italian opera singers and costumed entertainers perform daily in St. Mark’sSquare, beginning at 11:30 a.m. and continuing until 8:30 p.m.
Also at the Venetian you will marvel at the painted ceilings in the hotel lobby, in themain casino entrance and the hall connecting the two. Under the hotel’s unique permanent big top, Circus Circus presents world-class circusacts free. Different acts perform each half hour between 11 a.m. and midnight, every day.This is probably one of the best free Las Vegas attractions, especially for kids. If you’re intrigued by magic tricks visit a Houdini’s Magic Shop where the employees areexpert magicians and will entertain customers and onlookers with amazing tricks. 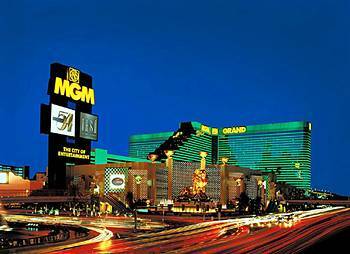 Houdinishops can be found at Circus Circus, Desert Passage (Aladdin), Forum Shops at Caesars, MGMGrand, New York New York and the Venetian. Bodog Online Casino – More than 60 exciting Vegas style casino games. Play for fun or for cash.